Thanks to these attributes, vermiculite uses are vast. Boards containing exfoliated vermiculite are often used to protect building elements from the effects of cellulosic fires. It is used as a core in firedoors, to build fire barriers, to encase or construct ductwork, and to protect steel building elements. When produced with the addition of vermiculite, these boards can withstand service temperatures of up to 1150C and are frequently used as backup insulation behind the carbon cathode in the potcells. This process can be also used to manufacture acoustic panels to reduce reverberation time. Exfoliated vermiculite is used in both hand- and spray-applied general building plasters to improve coverage, ease of handling, adhesion to a wide variety of substrates, fire resistance, and resistance to chipping/cracking/shrinkage. Acoustic- and fire-protection products often use vermiculite combined with a binder such as gypsum, portland cement, or (more rarely) an air setting clay, plus fillers and rheological aids. Finer grades of exfoliated vermiculite can be added at site to portland cement and other aggregates for roof and floor concrete applications or lightweight concrete, with the intention of imparting the benefit of being lightweight and insulating. It is heat-resistant, inert, inorganic, lightweight, and absorbent, making it an excellent loose fill insulation that protects against heat, sound, and moisture. Concrete roofs containing vermiculite are often used in conjunction with other insulation materials such as polystyrene board to form a total roofing system. When combined with a bituminous binder, vermiculite can help create a lightweight roof which has the advantages of low thermal conductivity, low moisture content, and easy placement by pouring directly from the bag and then tamping. Vermiculite’s fireproofing characteristics are recognized nationally by offices of local building officials, state rating bureaus, and insurance companies. 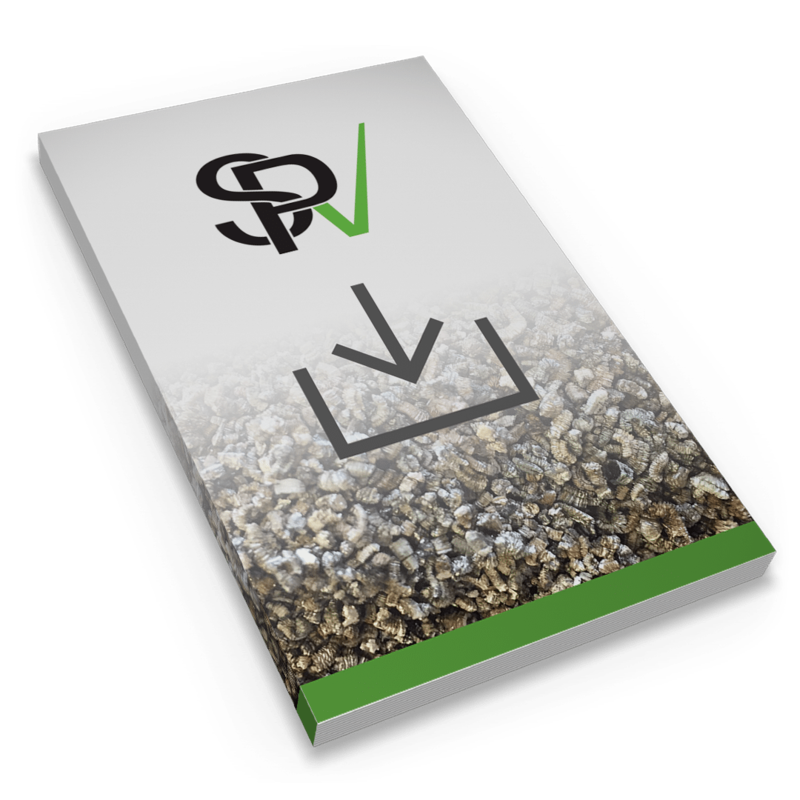 Underwriters’ Laboratories, a global independent safety science company with more than a century of expertise in innovating safety solutions, have assigned up to 4-Hour ratings to room and deck systems that employ vermiculite as one of the components. And they are made to last—concrete roofs made using vermiculite may be guaranteed by the applicator for up to 50 years!